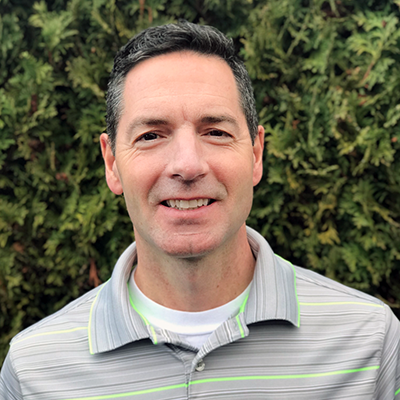 Dr. Dennis Eldridge graduated from Western Washington University in Bellingham in 1993 with a BA in Exercise Science and earned his Master of Physical Therapy from the University of Puget Sound in Tacoma in 2000. He then completed a transitional Doctor of Physical Therapy degree from the University of Puget Sound in 2004. Dennis has worked in the field of physical therapy since 1994, initially working as a Physical Therapist Aide and Exercise Specialist. 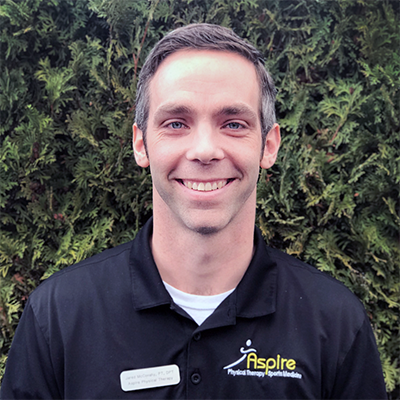 He has practiced as a physical therapist in Enumclaw since 2000. Dennis is a Certified Strength and Conditioning Specialist through the National Strength and Conditioning Association, is SFMA Level 1 Certified and is a Certified Clinical Instructor through the American Physical Therapy Association which enables him to instruct physical therapy students in the clinic setting. He enjoys working with all types of patients and has a special interest in athletics, particularly running and running related sports. He enjoys being active, working out, surfing, hiking, skiing and following his children’s activities. Dennis is married with three children all of whom love to be physically active. Dr. Jared Mc Conahy was born and raised in Spokane, Washington and received a bachelor’s degree from Eastern Washington University in 2010. He graduated from University of Puget Sound in 2013 with a Doctorate in Physical Therapy. He enjoys working with a variety of patients and diagnoses, but has a particular interest in athletes. He strives to help all patients find ways to make simple, practical changes in their daily life to help improve pain and return them to normal function. Jared is married and has one child. He enjoys being active, spending time with his family, cycling, running, triathlons, and hunting. 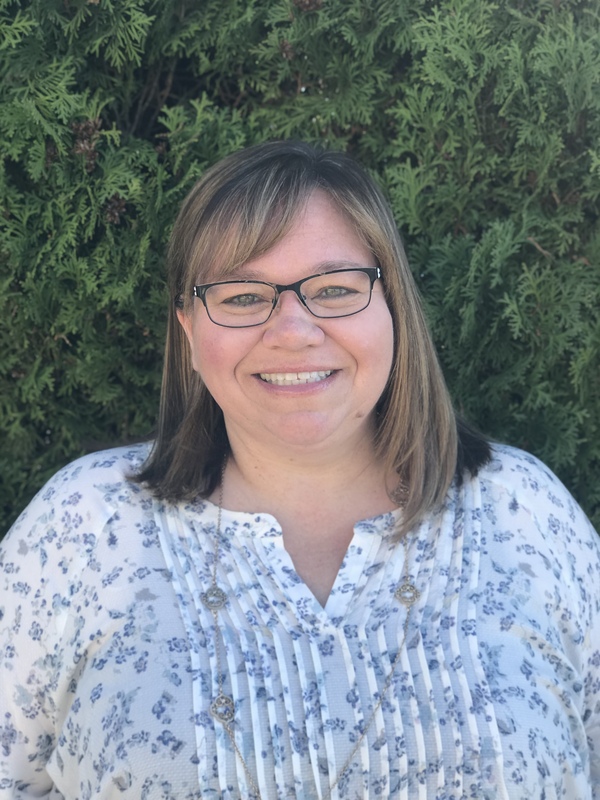 Carole Meeker graduated from Green River Community College in 1988 with an Associate of Science Degree for Physical Therapy Assistant. 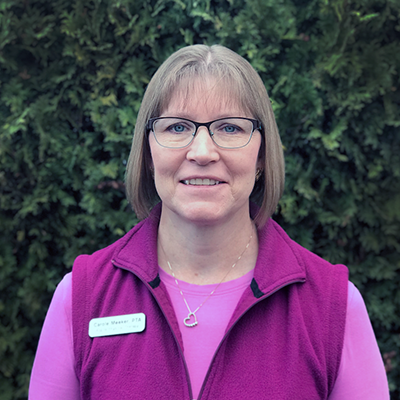 Carole has worked in several different Physical Therapy settings including inpatient, outpatient, skilled nursing facilities, rehabilitation (geriatric), home health and pool therapy. She enjoys working with patients of different backgrounds. 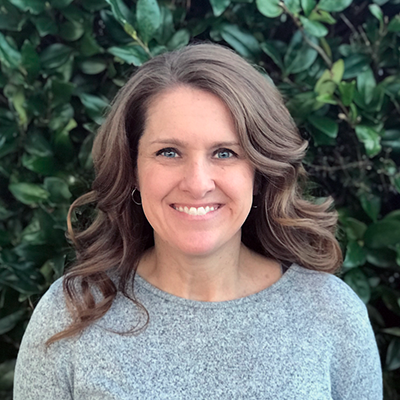 Carole likes working out, yoga, hiking, camping, being with family and friends and following her children’s interests. Carole is married with two children who are involved in sports and outdoor activities.